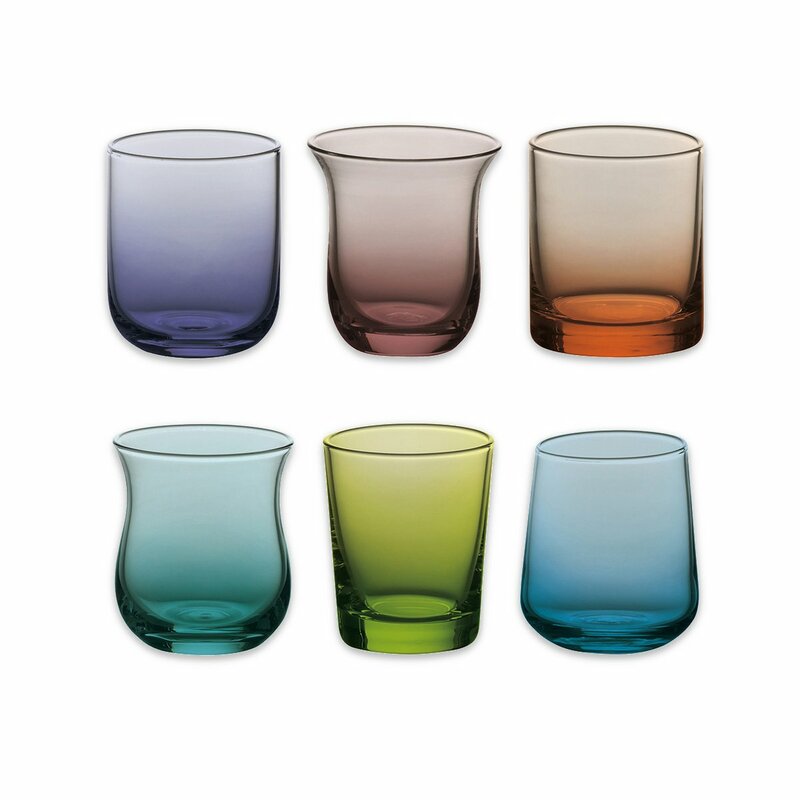 These six liqueur glasses are part of the Diseguale line, produced by Bitossi Home. 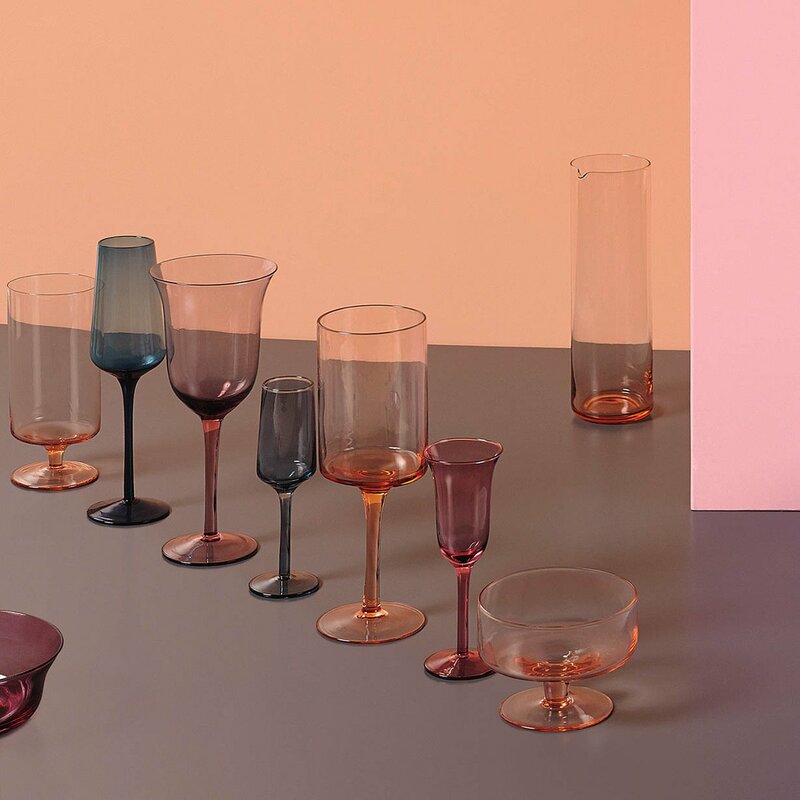 Combine these glasses with the other glasses, flutes and water glasses of the same line and make your table colored! The entire Diseguale collection is made of blown glass and is available in different colors and shapes. This set of six glasses is dishwasher safe. 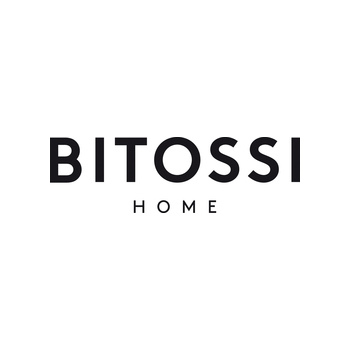 Founded in 2007, the Italian brand Bitossi Home has since collaborated with young designers to create colorful tableware and kitchen accessories collections. Glass, wood and innovative compounds are used, but the material of choice is ceramics, that the Bitossi group has been working with for five generations at the same factory in Tuscany.